It is only when we see God in all of the beauty of His holiness with the eyes of faith that we can express His infinite worth through worship and experience His transformation of our lives from the inside out. Worship is the one activity of the church that will continue in Heaven. If Christians had to eliminate all but one church activity on earth, worship would be the most important one to continue. Worship is the absolute daily goal for every Christian. According to I Corinthians 10:31, we are to do everything to the glory of God, so our lives should be lived in a constant attitude of worship. We will fall far short of this goal, but yet it becomes the passion of our hearts as we draw closer to the Lord to live our lives in such a way that we bring praise, honor, and glory to God. Our congregational worship is to be the unified corporate extension of what we are already seeking to do in our daily lives. None of us will reach this mark perfectly on earth, but we can aim for it. Seeing everything that comes our way as an opportunity to bring glory to God is certainly not an earthly mindset. We must be intentional if we are to keep His glory at the forefront of our thoughts and the basis for our actions. Things will happen in this life that we don’t like. Some things will break our hearts. Some words will hurt. Some relationships will not be as close as we would like for them to be. Some circumstances will be difficult or even tragic. Yet, our focus must remain on our God, who is so faithful, so worthy of our praise. He is a keeper of promises, and He has promised to work all things together for our good. This life is a whisper in the song of eternity. As we learn to trust Him, our response to life becomes one of worship… a constant attitude of “intentionally expressing the infinite worth of God’s glory” * through the way we live our lives. As we grow in Christ, we learn to become more intentional in our choice to worship Him in everything we do; and yet we recognize our own imperfection and our need of God’s Holy Spirit to indwell our human weakness so that our lifestyle worship, even in an imperfect state, still expresses the infinite worth of our perfect God and Savior. Most Christians try with all their might to do the right thing and to live honorable lives, but the thought that our lives are to bring glory to God and that worship should be a 24/7 attitude of the heart may go beyond what many have considered. Some Christians may never have heard this teaching and may not realize that pleasing God goes far beyond just trying to do the right things and avoid the wrong things. It’s easy to become trapped in a form of legalism consisting of our lists of ‘dos and don’ts’ if we are not careful. We need to remember that it is relationship with us that God desires above all else….that we may know Him. And, it is only through the understanding of our new life in Christ as an experience of living in a constant attitude of worship that we can begin to have the kind of perspective that allows us to go to a deeper place of relationship with God. There is freedom and joy in the intentional life. When we recognize that God is truly Supreme, that He is of infinite worth, that His thoughts are unsearchable, that His holiness is absolute, we are free to respond to him in a constant and intentional state of awe and adoration that changes us from the inside out. Our perspective becomes so much greater than self. It is this transformation, a journey toward Christlikeness, that God desires for each of His children. The lists of dos and don’ts are totally secondary to the miracle of a changed and changing life. Like a parent who is so happy and blessed by the gratitude of his children, God does not seek our worship for some egotistical purpose, but rather for what it means about who we are becoming. For an earthly parent, the gratitude of children means that they have matured, that their focus has become less self-centered, that their character is being refined, and that they have begun to recognize how much they are loved and what has been done to care for them from the moment of their birth (and even before). How it must bless God when we take a step of faith, turn to Him with humble hearts, recognize Him as our Creator and Savior and the source of everything good, seek to worship Him in all of life…and move closer to the goal of becoming like Christ. He who began this good work in us will be faithful to complete it! Along with the intentional attitude of worship comes a recognition of the need for manifesting the grace of God in our daily lives. 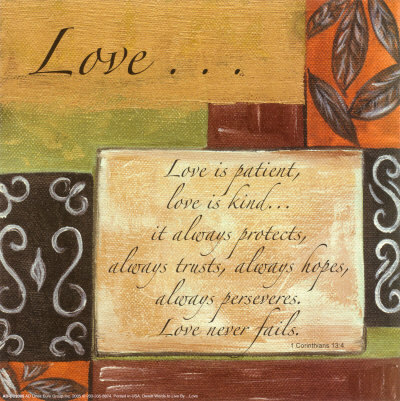 The “love chaper” of the Bible, I Corinthians 13, is our guide in expressing the grace of God through demonstraing love toward others. In choosing to do this, we worship Him. We recognize that the inner man is far more important than anything external. We let go of judgemental attitudes about appearance and behavior. We let go of our preferences and instead cling to His. He prefers an attitude of humility, not a demanding of our own way. When things are not as we believe they should be, there is a time to speak the truth in love. But there are also times when we should be silent and choose to pray, leaving the situation in God’s hands rather than taking it into our own. Living out His grace through the power of His spirit, we worship Him. What about the worship that we will experience someday in Heaven? Some people actually think that Heaven might be boring, but that is not what the Bible says! It says that there is no way it can even begin to enter our thoughts on earth to grasp how wonderful this place that He has prepared for us will be. Will we be worshipping all of the time? Yes. However, we need to remember that worship is already supposed to be a 24/7/365 thing even on Earth as we are living, working, playing, loving, and relating. Though there will still be those incredible times of focused congregational worship as mentioned in the book of Revelation, there will be no restriction on anything that is good, pure, uplifting, and Holy. Some activities that we now enjoy will pale in comparison to what we will find to do there. We will no longer have a desire to do many things that were but a mere shadow of their heavenly counterparts. All of the best things will be there in abundance and to a degree that we never imagined possible. We will not be missing anything! Rather, as we are living (eternally), we will WORSHIP! * John Piper’s definition of worship. paraphrased. This definition is found in the devotion titled “Bodies, Breakfast, and the Marriage Bed” and subtitled “A Meditation on Daily Worship”. “Lifestyle Worship” was written by Cynthia A. Boyd. Please join us in praying that this message will touch hearts around the world with the truth of freedom in Christ as we seek to bring glory to God. 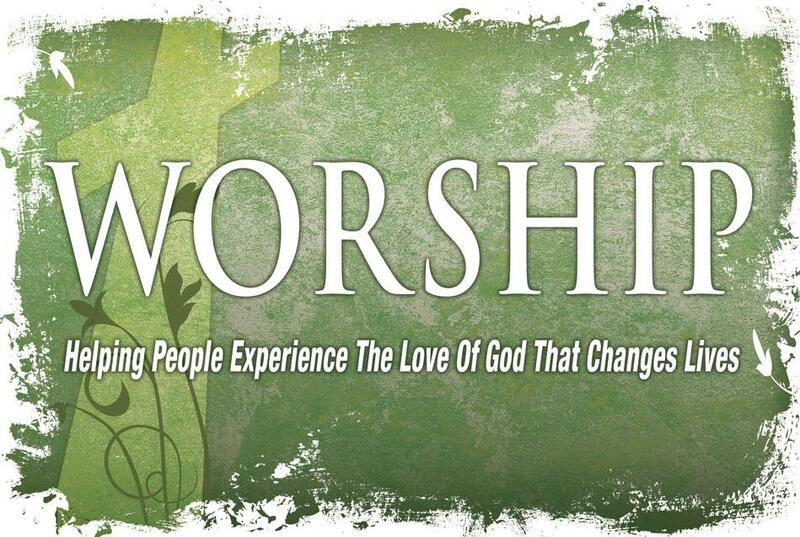 Below are links to some of our posts about worship. Thank you, Ed. We serve an amazing God. What great words of challenge to us in starting a new year! Thanks! You are very welcome, Cheryl. Blessings in the new year! Worship is not just expressed in songs or prayer meetings, rather, it should be reflected in every day life. God’s signature in nature motivates us to venture into a worshipping adventure. Ogweno, You are so right. While there are many times in congregational, small group, family, or individual worship when prayer and singing praise are involved, worship is so much more. Worship in all of everyday life is lifestyle worship. Yes, God’s creation is amazing. How beautiful it is that the Creator of all things has chosen to demonstrate His love and mercy through the life, death and resurrection of our Savior, Jesus. How can we fail to worship Him? Good article. I am also writing a book around this topic. One of the chapters is called “Checklist Christianity”. Other chapters have catchy titles too. Much stems from my work with world leaders and regular participation in a wide variety of social network forums on many topics. I live I Peter 3:15 every day and never know who will be the next person to ask me the question. Good point, Lee. May we all be like little children in our desire to please Him by just spending time together with Him. Let us also focus on the internal and eternal in our worship of Him rather than what others may be doing.